Tesla’s Powerwall battery system, designed for domestic use. Local and international energy companies are rushing to support Tesla’s new Powerwall home storage system, with a string of partnerships announced in the days following the product’s launch. Leading companies including SolarEdge, Fronius, Reposit Power and Vector (New Zealand) have all made announcements regarding partnerships and collaborations with the company, best known for making electric cars. The low-cost batteries, unveiled to great fanfare at the end of April, are seen as potential game-changers in the domestic storage market. Among the first to announce its collaboration was PV inverter company SolarEdge, which announced a deal to develop an inverter solution for Tesla’s Powerwall. “Tesla’s collaboration with SolarEdge unites leading organisations in two rapidly-growing industries – solar energy and energy storage – to bring homeowners a more cost-effective and integrated energy generation, storage, and consumption solution,” said JB Straubel, CTO of Tesla. The solution will also support upgrading existing SolarEdge systems with the storage solution. 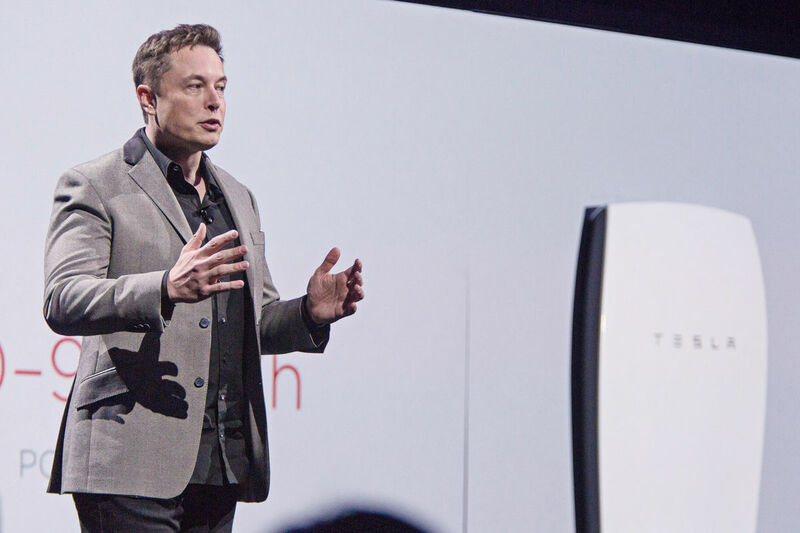 Solar inverter manufacturer Fronius also announced a partnership with Tesla, saying it is developing communication compatibility between the Fronius Symo Hybrid inverter and the Tesla Powerwall. 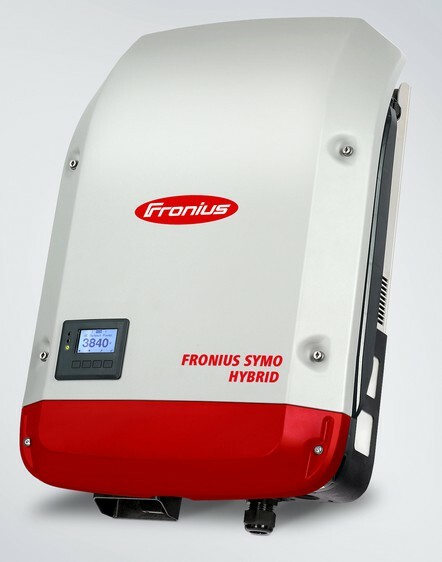 Fronius will offer the Powerwall in combination with the Symo Hybrid inverter as a solution for residential PV systems, starting in Europe at the end of 2015 and later in Australia. 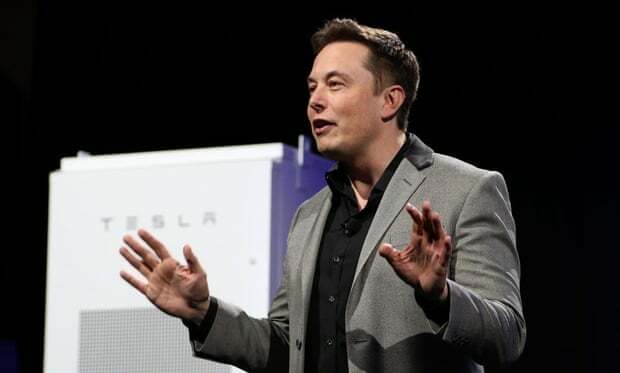 Fronius said the Tesla Powerwall will be available as an alternative to the Fronius Solar Battery. Both options will work in conjunction with the Fronius Symo Hybrid inverter and a Fronius Smart Meter. Fronius is therefore offering a second, wall-mounted storage solution, suitable for outdoor use. Canberra technology company Reposit Power secured a slightly different type of deal with the US carmaker, announcing it is combining its GridCredits storage system with Tesla’s Powerwall battery. The intelligent GridCredits system has been designed to work with battery storage hardware and will be available with other batteries in addition to Tesla’s. Reposit launched a Canberra based trial of GridCredits late last year, supported by $445,000 of ARENA funding. Reposit now plans to offer GridCredits – which works with battery storage to control and store energy – to Australian consumers as a commercial product in late 2015. Finally, New Zealand electricity network operator announced it will be offering the Tesla home battery to customers in New Zealand. Vector said it had been working for some months to cement a special relationship with Tesla to provide the technology. I then arranged for a suitable day to install the gear, ordered the SPPro 24-1, a 24 volt 4.5 kwatt model from Selectronic in Mooralbark Victoria, ordered a new 260 Amp battery fuse/disconnect to suit the much higher load currents, arranged for the sparky to attend and waited for the day. I purchased a 1200 x 2400 mm piece of melamine coated chipboard from the local hardware store and set off in the Radiant van! The first job was to strip off all of the old switchboard and connections and screw the chipboard sheet to the wall – 50 mm roof screws make a very good fixing and can be easily driven with the battery drill. The next job was to make a layout sketch of the system to make sure everything fits. Then the task of screwing the inverter backing plate, the battery disconnect switch, solar DC MCB switch enclosure, the two solar regulators was completed. You will need two people to lift the inverter/charger onto its backing plate – its quite heavy with its rather large toroidal transformer inside! 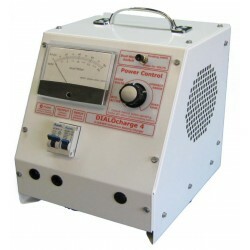 Having a large, heavy transformer is the key to the SPPro’s high surge current rating. Soon the wiring started to take shape. The sparky routed a new cable to the house switchboard and extended the generator autostart wiring to the inverter/charger. The batteries were moved closer to the wall mounted panel and wired into the battery fused disconnect. 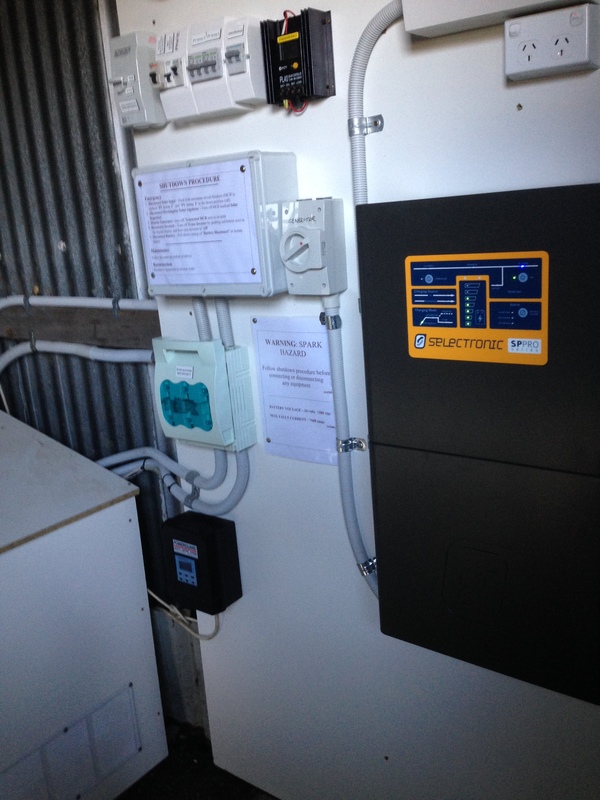 The sparky then attached the generator and 240v AC isolators and wired them into the inverter. I had to install the renewable shunt to measure the total solar current going in and then I wired the SPPro pre-charge switch, battery sense wires, battery temperature sensor and then wired in the two solar DC MCB’s. ter the battery and to prolong its life. By early afternoon it was ready to test. We turned on the SPPro pre-charge switch, waited for all the green lights on the inverter front panel to light up, then we closed the battery disconnect fuse holder. We then pressed the mode switch, top right, to allow AC to flow to the switchboard – It works! The next job was to connect the SPPro to my laptop using SPLink which quickly sets up most of the required settings via a handy setup wizard. 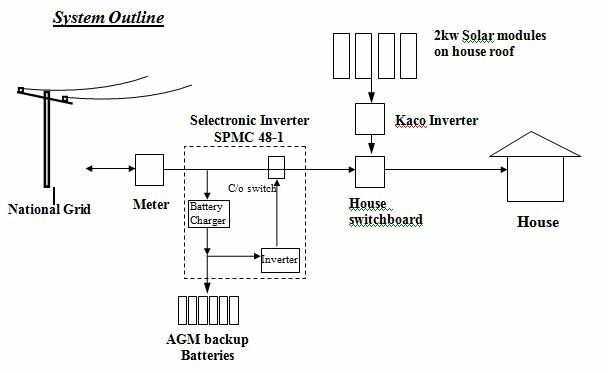 Settings like battery size in Ahr, generator size in Kwatt, general operation type, Off-grid etc, Sp Link allows you to investigate what the inverter is doing, it takes daily and weekly summaries and also indicates and alarms when something fails. SpLink also allows you to download performance data and display graphs using Excel. The last job was to check the operation of the generator auto-start by pressing the top left hand button for 2 secs. Yes, the generator started up and then synchronised with a clunk of the internal contactor. Within a short time it then started to charge the battery – I checked the generator output voltage and frequency, 230 v and 49.7 Hz – All good. To finish off the job, I then put on the various labels and signs in readiness for the inspector to view and approve. These labels can be seen in the photograph. We had previously installed a 2kwatt grid feed system about 4 yrs ago when the feed in tariff was 66 cents/kwhr. 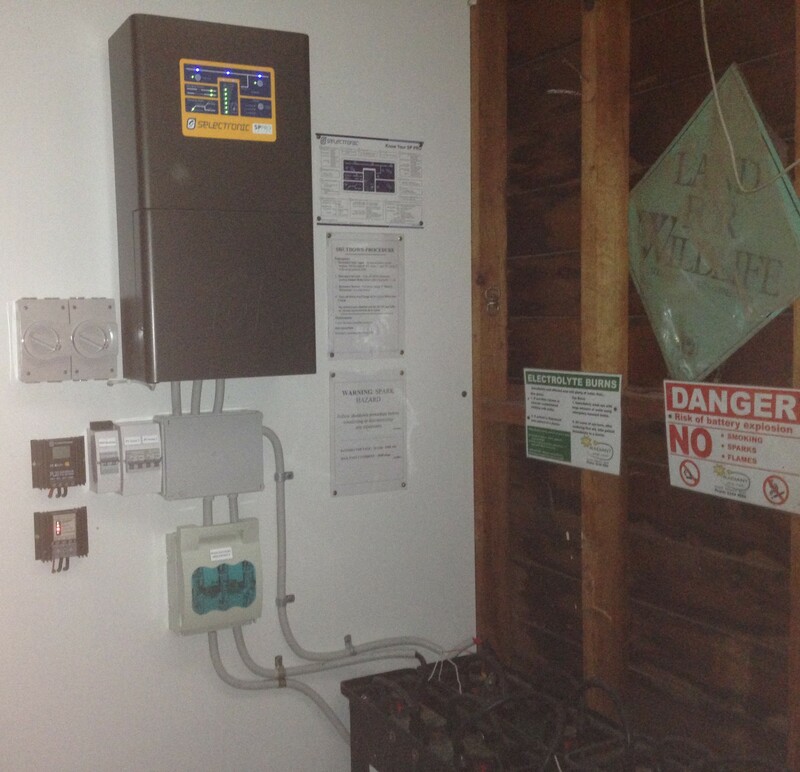 The owner wanted the system expanded to include a backup battery bank and inverter. When the power goes off, th e SPPro, which is always synchronised with the grid, instantly takes over supplying house loads. In order to alert the owner that grid supply has stopped, an alarm sounds in the house so that steps can be taken to limit energy usage. The 140 Amp hr battery set has about 4 Kwhrs of usable energy available to supply loads – which if managed carefully, can last for 4-5 hrs of use. Important loads would be the fridge, lights (especially at night), laptop and other necessary loads. 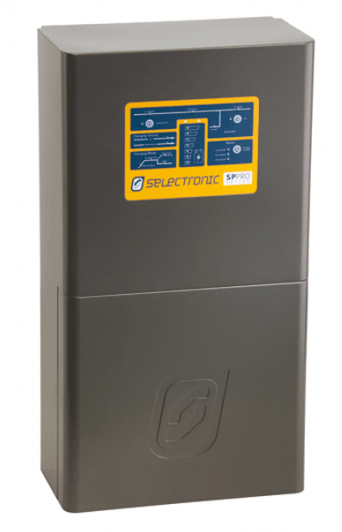 When running normally in grid mode, the solar system preferentially supplies any battery charging requirements and house load support, then any excess energy is exported via the Selectronic SPPro inverter. We specified one of Selectronic’s GO series inverters which limits grid export to 2 kwatt (the original size of the array) This ensures that the original agreement with the retailer remains unchanged so that the 66cents feed in tariff is safe! The Grid Battery support market has just hotted up. AGL Energy Ltd., Australia’s biggest power producer, said it would debut a 6 kilowatt-hour home storage battery, challenging Tesla Motors Inc. which announced 7- and 10-kWh models last Friday. AGL’s suitcase-sized battery will use lithium-ion cells and come with extended warranties and finance plans to make it affordable, the company said in a website statement. It’ll be suitable for a family home with solar panels providing 3 to 4.5 kilowatts of power, AGL said. It’s the first such product to be offered by an Australian energy retailer. Tesla Chief Executive Officer Elon Musk unveiled a suite of batteries to store electricity for homes, businesses and utilities and reduce dependence on fossil fuels. Tesla’s home batteries will be delivered from late in the northern hemisphere summer at prices starting from $3,000, the company said. 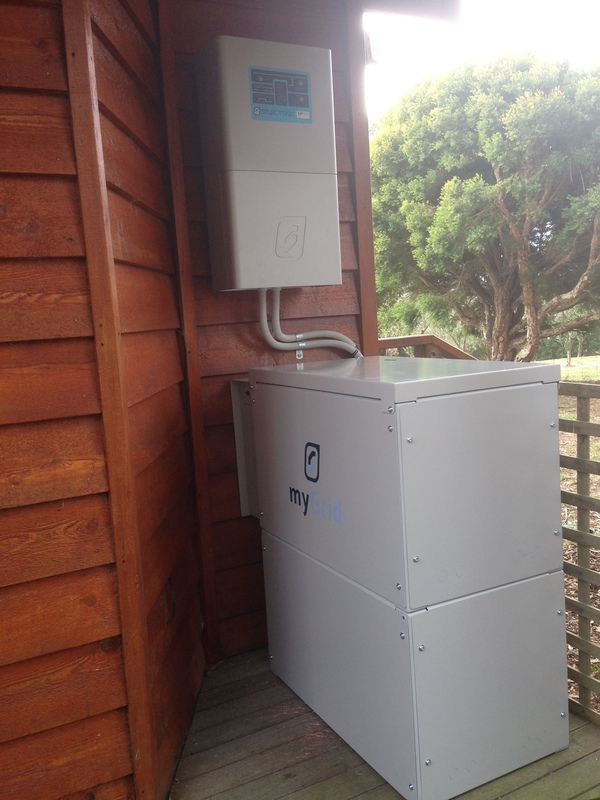 AGL’s product “will provide consumers with backup for essential home services such as lighting, refrigeration and communications,” Ed Lynch-Bell, AGL’s lead for energy storage, said in the statement. That will help iron out “potential disruptions of energy supply,” he said. AGL, whose assets include the Loy Yang coal-fired power station which provides about 30 percent of Victoria state’s electricity, said April 17 that it would close all its coal plants within 35 years and expand its investments in renewable energy. Last week, a customer near Colac phoned me and wanted to talk about going off-grid I told him I would come down that afternoon. So I printed off one of our Off-Grid info packs and set off for Colac in the Radiant Van. The customer lived just out of Colac, quite close to another of our Off-grid customers so I was quite familiar with the area. The customer came out to greet me and proceeded to show me calculations of his daily usage which was around 2-3 kwhrs/day – quite modest and that he was intending to install an LP gas stove which would make the usage even lower. We discussed the shading issues from the tall eucs in winter – it is what it is!! A backup generator was also planned. He was a perfect candidate for going off-grid – already had water tanks, solar hot water, wood stove for winter heating, gas cooking and was planning for gas hot water backup or using the wood heater with a water jacket. I took some photos and after discussing the implications of going off-grid, I left him with the info pack and promised that I would draw up a quote and send it to him within the next few days. Back home that evening, I opened my trusty SPS off-grid design program from JP Energy Technology, put in the likely loads that the customer had indicated and totaled up the kwhrs/day. Sure enough, they totaled about 2.5 in summer and around 3 in winter. From there I went to the Design Area of the program and selected Cape Otway as the closest solar monitoring station. Then I went to the PV Array area and set the brand, size and numbers of solar modules I thought he’d need to cover his winter load. I chose 3 kwatt which is 12 by 250 watt modules. 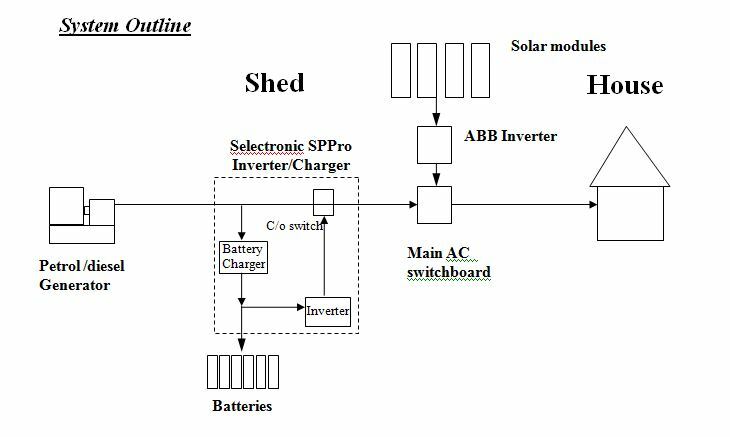 I’ve decided to go AC coupling for the solar array – that is the DC energy from the solar panels goes to the ABB solar inverter and gets converted to 240v AC energy which is then fed to the main AC house switchboard. It then directly supplies any house loads that need energy – the fridge, maybe TV, lights, washing machine etc and then any excess goes into the battery. The DC wiring for this arrangement is very simple and makes for a very neat system. It is our preferred arrangement. 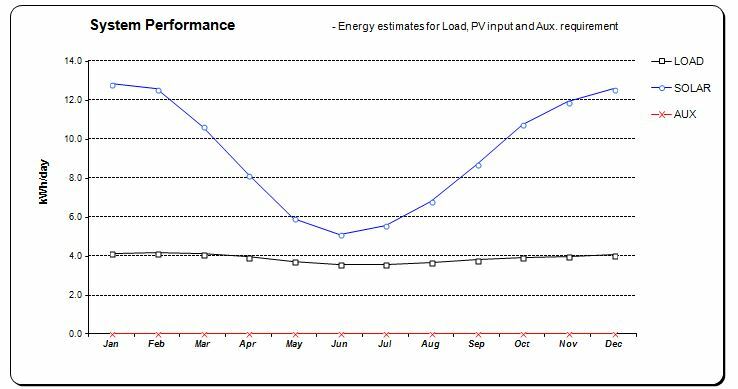 The SPS design program produces a graph which shows the solar PV output is above the load requirement. This will minimise the need for a backup generator and with panel prices so low these days, it is much cheaper than petrol in the long run. The electric car company Tesla has announced its entry into the energy market, unveiling a suite of low-cost solar batteries for homes, businesses and utilities, “the missing piece”, it said, in the transition to sustainable energy world. Wall-mounted, with a sleek design, the lithium-ion batteries are designed to capture and store up to 10kWh of energy from wind or solar panel. The reserves can be drawn on when sunlight is low, during grid outages, or at peak demand times, when electricity costs are highest. The smallest “Powerwall” is 1.3m by 68cm, small enough to be hung inside a garage on or an outside wall. Up to eight batteries can be “stacked” in a home, Musk said, to applause from investors and journalists at the much-anticipated event. The batteries will initially be manufactured at the electric car company’s factory in California, but will move production to its planned “gigafactory” in Nevada when it opens in 2017. This video is a few years old – enjoy a little bit of Radiant Energy Systems history!